On Friday Vince Cable is due to give a set piece speech. Given that a week is a long time in politics the speech could, presumably, go through several revisions between now and then. 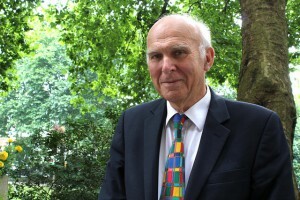 But that hasn’t stopped people speculating, and unnamed individuals briefing, that Uncle Vince is going to argue for constitutional changes to the Liberal Democrats. These could entail a scheme to allow a broader cohort of “supporters” to vote in party matters – presumably a scheme of the type that has worked so well for Labour – and opening up the role of party leader to non-MPs. These are, apparently, seen as the route to a mass movement. The newspaper stories drawing on these briefings have led some stalwarts of the Lib Dem blogging community to fire up their keyboards and offer a view on the matter. That view is, from what I’ve seen, decidedly lukewarm towards the whole idea. This sort of constitutional change isn’t really in the leader’s gift, for one thing, and looking at recent experience of such changes elsewhere might give one pause for thought – even if it is intended that better safeguards are in place. I’m with those inclined to ask if we are clear what the problem is and, only then, to consider whether these changes represent an effective solution to it. And I’m also with those who are inclined to the view that there is clearly a problem, and there might well be a solution, but this sort of constitutional change isn’t it. From where I’m sitting the problem feels different and addressing it might not represent the petal-strewn path to the status of a mass movement. One component of the Liberal Democrats’ problem is the shadow cast by the Coalition era. Opening up the leadership of the party to a non-MP might seem one route out of this dilemma, particularly if there is a sense that the strongest candidates for the next leader among the current group of MPs are unavoidably ‘tainted’ by the Coalition years. But it’s a fairly drastic approach and one that seems to me to be short-termist. It short circuits the process of distancing the party from its Coalition record. But for the party to disavow – directly or by implication – the practice of Coalition government seems imprudent. Voters casting the party into post-Coalition limbo is an asymmetric issue. For those who would more typically lean Right, but find Theresa May’s clown car of the Brexopalypse too much to stomach, the Liberal Democrats’ performance as the solid and sensible partner in the Coalition would still appeal. For those on the centre-left – who see complicity in austerity policy, welfare reform, and the tuition fee debacle as mortal sins – not so much. So the party should have less trouble pulling in centre-right votes than centre-left votes. Given that in the vast majority of seats in which the party is competitive the main competitor is the Conservatives, maybe that is no bad thing. But the question then become whether the Liberal Democrats’ self-understanding is as a centre-right party. In contrast, I would characterise almost all my interactions with party activists as having a distinctly centre-left flavour. But I recognise that may very well be the company I keep. Nonetheless, there is a risk that tension is building between the activist base and the party’s supporters. As we know very well, this centre-left or centre-right issue is a perennial debate. As is the rejection, that usually follows in short order, of any attempt to place the party on the left-right axis somewhere between Labour and the Conservatives. I’m not a great fan of this type of “centre-left or centre-right or somewhere else“ debate – even though I have no doubt indulged in it myself – because the labels are pretty free-floating and infinitely reinterpretable. It could in principle be more revealing to look at the policy positions the party adopts. But then there is a paradox. In terms of public consciousness, the Liberal Democrats are the anti-Brexit party and little else, although perhaps even that anti-Brexit message has been less diamond-sharp over the last year than it might have been. But being anti-Brexit is not sufficient to sustain, as reflection on the pointlessness of UKIP once Leave won the Referendum would tend to testify. The paradox, for me at least, is that, to the contrary, the party has stacks of policies on all sorts of things. Indeed, it’s got some of the most comprehensive and well thought-out policies on offer. But, the very volume of ‘stuff’ means it is hard to set the pulse racing. It’s a hard sell in today’s retail politics and low-information voters. That is the bigger problem the party faces. That’s why we’ve witnessed plenty of head-scratching in pursuit of the overarching vision and the bid idea. Seeking to recruit more people to a position of loose allegiance to a rather nebulous political project is coming at it from the wrong end. Perhaps there first need to be some sharper edges to achieve cut through. But sharper edges can cut both ways. Greater clarity may mean new voters may cleave to the party because its message resonates, while at the same resolving strategic ambiguity may cleave existing supporters from the base. I was wondering the other day whether a route forward here might be built on the recognition that almost everyone misreads “social liberalism”. In public discourse we often see the argument that populism of left or right is a rejection of the economic and social liberalism of the centre. But “social liberalism” is typically referring to private behaviours and things like sexual liberation, marriage equality or drug decriminalisation. If we were to think of it in terms of good old Orange Book four-cornered freedom it is more aligned to personal freedom than social freedom. Social liberalism, in contrast, has a lot more to do with recognising interdependence, mutual obligation, and that society can be more than the sum of its parts. It is social liberalism that laid the foundations for the welfare state – a willingness to build together not simply to stop the most vulnerable from sinking but for the benefit of all. When political polarisation is increasing, political disagreements harden into something darker and more dangerous, and toleration of difference is in short supply then genuine social liberalism demands more of us all. Not to take the comforting turn inward, but to have the courage to face outward. To recognise the limitations of existing in splendid isolation. To recognise what can be achieved together. To nurture our better selves. In these fractured and fractious times that is a radical message indeed.